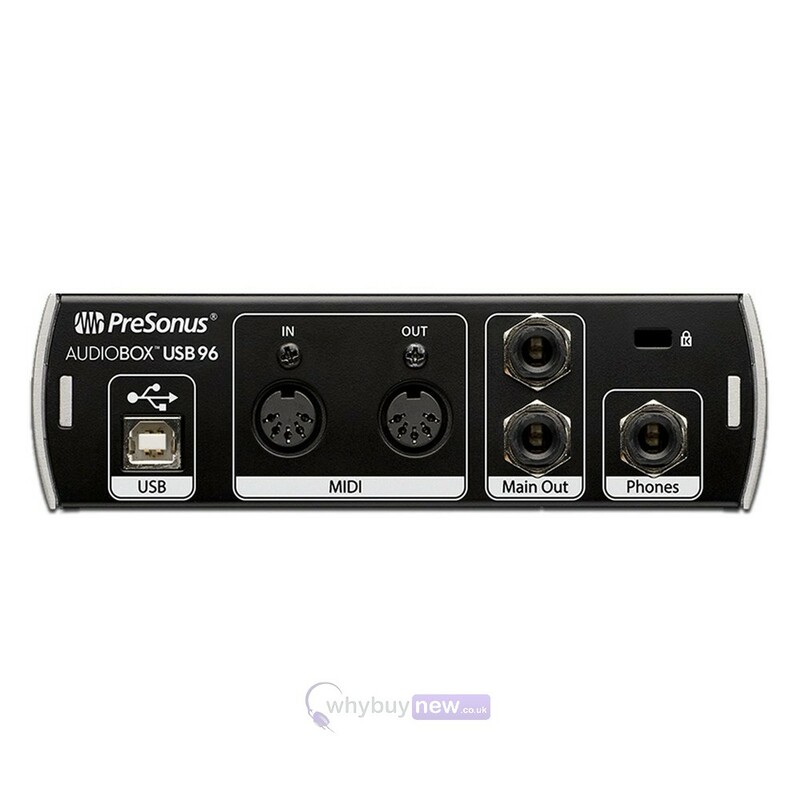 This is the PreSonus AudioBox USB 96; a highly portable audio interface that brings a professional experience to students and beginners on a budget. 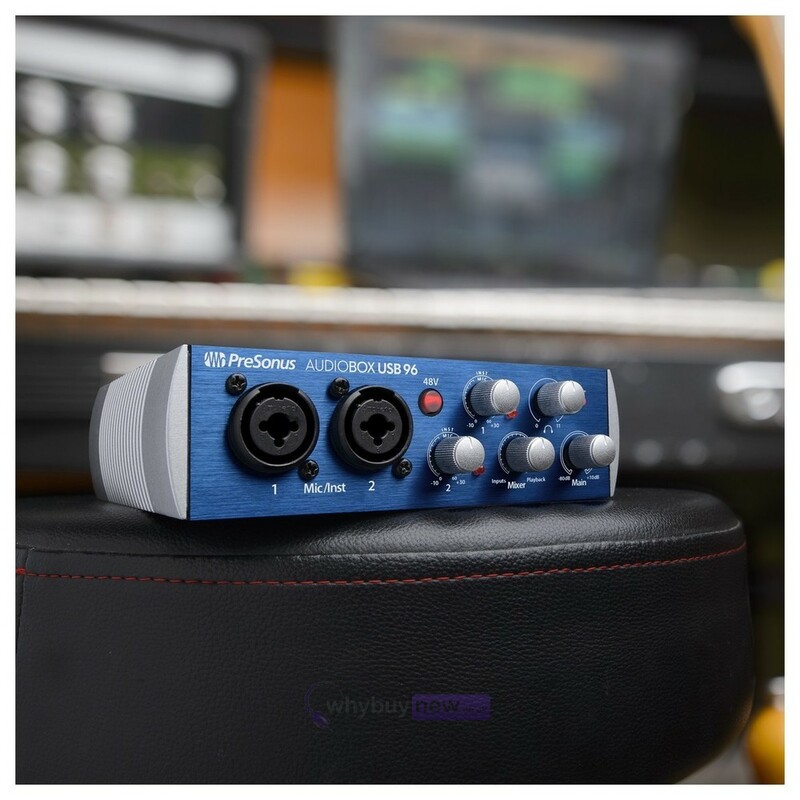 This impressive piece of equipment is small but mighty, packing in two combi 1/4" jack/XLR inputs for microphones and instruments, MIDI I/O for linking production controllers, and five knobs for mix control into its tiny frame. 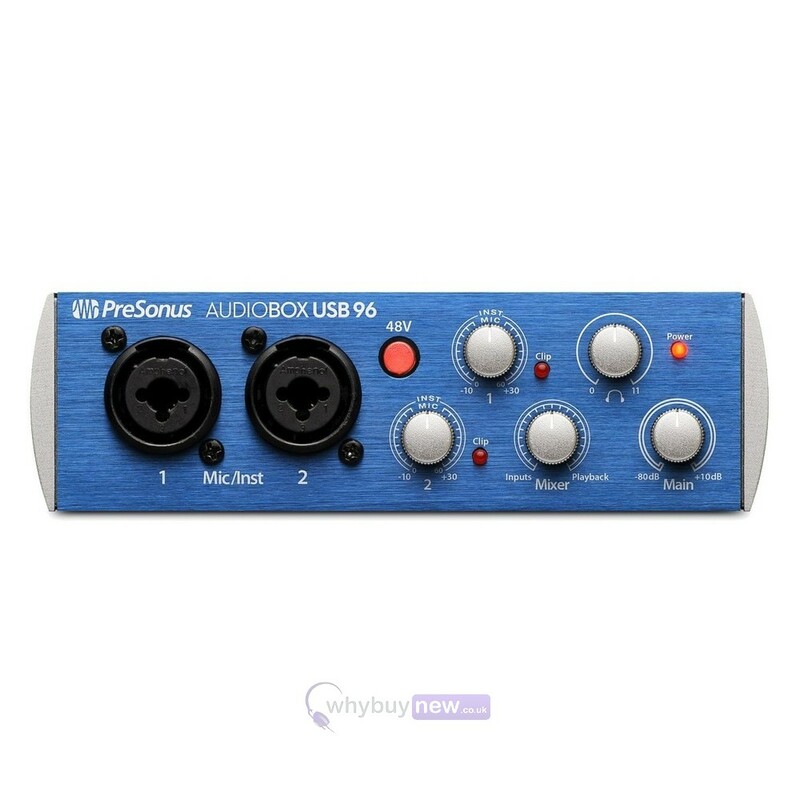 Don't be fooled by its size however because the PreSonus AudioBox USB 96 is incredbly robust with a super tough shell that can easily withstand a life on the road. Whether you are a musician, producer, or podcaster on a tight budget, the AudioBox USB 96 audio interface is for you! This simple, handy little audio/MIDI interface has just the right features for basic recording needs, allowing you to plug in and start recording up to 24-bit, 96 kHz audio right away. Bus-powered and built to travel, the AudioBox USB 96 makes recording easy. The AudioBox USB 96 audio interfaces two front-panel combo mic/instrument inputs make it ideal for singer/songwriters, podcasters, and guitar or guitar-bass collaborations. Simply connect a couple of mics and you have an easy-to-use stereo recording system. A mix control lets you control the level between the input signal and computer playback, without hearing annoying delays. You also get a pair of balanced line-level outputs, an ultra-loud, crystal-clear headphone out, plus MIDI I/O, so you can connect your favorite synth or MIDI controller. The result is a simple, affordable, mobile recording solution. Here is a mobile audio interface in the best sense of the term. We gave the AudioBox USB 96 a heavy-duty steel chassis so it can take a serious pounding and remain completely reliable. Its screaming-loud headphone output ensures you can hear your music loud and clear, even in noisy locations. And its USB 2.0 bus-powered, so you can record with it anywhere you can use a laptop. Simply drop it in your laptop bag or slap it on a tabletop. 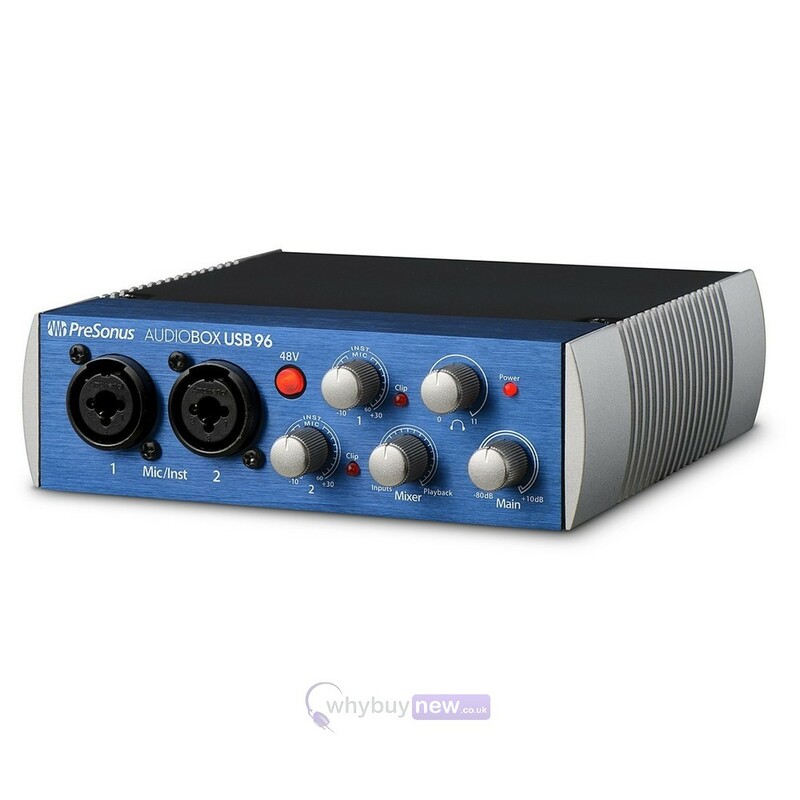 While the AudioBox USB 96 audio interface works with virtually all Mac and Windows audio-recording software, it comes with a free license for PreSonus Studio One Artist DAW, giving you a complete recording solution. Built by creative people for creative music production, Studio One is easy to learn and enables you to compose, record, and produce your masterpiece without getting distracted by the tools. Studio One also enjoys a robust online community of enthusiastic and helpful users you can turn to for advice. Whether you're just getting into recording or are a veteran producer who wants to go mobile, the AudioBox USB 96 audio interface will give you great sound in a bus-powered, rugged chassis that's ready to hit the road when you are. The perfect companion for any recording software, the AudioBox USB 96 comes equipped with Studio One Artist to provide you with a complete recording solution right out of the box. 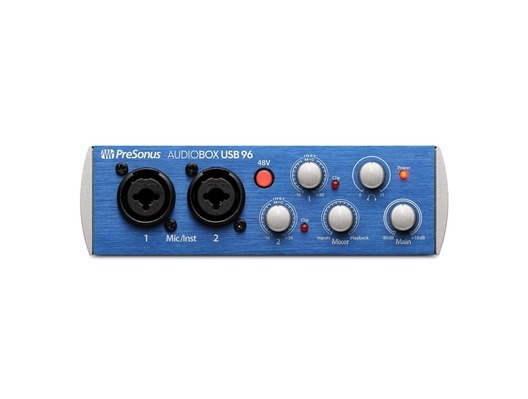 Check out the AudioBox USB 96 and Studio One at your favourite PreSonus dealer. Powered via USB busno wall wart!